Toby Hemenway is the author of Gaia’s Garden: A Guide to Home-Scale Permaculture and the founder of Pattern Literacy, an organization which sponsors courses and workshops in permaculture design and practice. We share many of the same opinions about the native plant movement. Visit one of our earlier posts to learn more about permaculture. We are republishing an article from Toby’s Pattern Literacy website today with his permission. Readers of Million Trees will find many of the themes in Toby’s article familiar, but his examples are from Oregon, rather than our usual examples in the San Francisco Bay Area. We hope Toby’s examples help to make the point that the native plant ideology doesn’t make much sense wherever it is applied. Let me tell you about the invasive plant that scares me more than all the others. It’s one that has infested over 80 million acres in the US, usually in virtual monocultures. It is a heavy feeder, depleting soil of nutrients. Everywhere it grows, the soil is badly eroded. The plant offers almost no wildlife habitat, and since it is wind pollinated, it does not provide nectar to insects. It’s a plant that is often overlooked on blacklists, yet it is responsible for the destruction of perhaps more native habitat than any other species. Research shows that when land is lost to this species, native plants rarely return; they can’t compete with it. It should go at the top of every native-plant lover’s list of enemies. This plant’s name: Zea mays, or corn. Corn is non-native. It’s from Central America. Next on my list is the soybean, with 70 million acres of native habitat lost to this invasive exotic. Following those two scourges on this roll call of devastating plants is the European invader called wheat. Wait, you say: these plants are deliberately spread by people; that’s different! But to an ecologist, it is irrelevant that the dispersion vector of these plants is a primate. 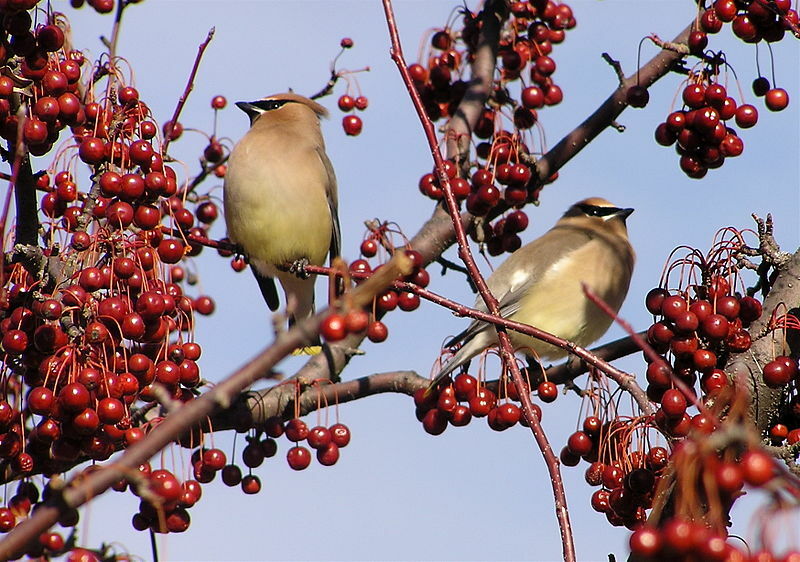 After all, we don’t excuse holly or Autumn olive, even though without bird dispersal, they could not spread. Why are corn, soy, and wheat not on any blacklists? Because we think of them differently than plants spread by non-humans. This suggests that an invasive species is an idea, a product of our thinking, not an objective phenomenon. When we restore land, we restore to an idea, not to objective criteria. Let me give another example of how our ideas dictate which species we’ll tolerate and which we won’t. The wooded hillside in rural Oregon where I once lived was thick with 40- to 120-year-old Douglas fir and hemlock. But as I walked these forests, I noticed that scattered every few acres were occasional ancient oak trees, four to six feet in diameter, much older than the conifers and now being overtopped by them. I realized that in these ancient oaks I was seeing the remnants of the oak savanna that had been maintained for millennia by fire set by the original inhabitants, the Calapuya people. The fir forest moved in when the whites arrived and drove off the Calapuya, and suppressed fire. So what I was seeing was a conifer forest created by human-induced fire-suppression, and it had replaced the oak savanna that had been preserved by human fire setting. Which was the native landscape? Both were made by people. If we say, let’s restore to what existed before humans altered it, we’d need to go back to birches and willows, since humans arrived as the glaciers retreated. But clearly that’s not appropriate. In a similar vein, one of the rarest and most valued ecosystems in the Northwest are the native prairies, such as those found in the Willamette and other valleys. Yet these prairies are also the product of human manipulation. 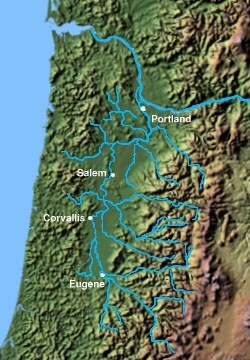 Prairies were predominant in the Willamette over 5000 years ago, but began to disappear not long after that. Ecologist Mark Wilson has written “As climate turned cooler and moister 4,000 years ago, oak savanna and prairie ecosystems were maintained only by frequent fires set by native people to stimulate food plants and help in hunting.” The local people used fire technology to maintain an environment that supported them even when the climate no longer supported that ecosystem. So I applaud and encourage efforts to preserve native prairie in the region—they are valuable as endangered species habitat, examples of cultural heritage, and a way of preserving planetary biological wisdom. But we should restore these prairies with the strict recognition that we are creating—not recreating or restoring–a state that can not be supported by current climate and other conditions. Prairies are artificial in the Willamette Valley. 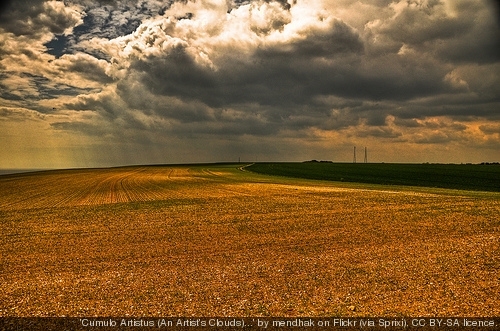 The preservation of prairies there isn’t a matter of simply repairing and replanting a degraded landscape and then watching the prairie thrive, but constructing a species community and an environment for it that must remain on intensive life support, with constant intervention, for it to survive at all, as long as the climate remains unsuitable to it. The Willamette prairie remnants can’t be considered native; the only criteria they meet is that they were here in small patches when botanists first catalogued them. But so were dandelions. Botanists knew dandelions weren’t native, but they didn’t know that the prairies were human created, so the prairies were catalogued as native. Prairies in the Northwest haven’t been indigenous for 4000 years. We love the local prairies and I firmly believe in the efforts to preserve them. But I want us to be clear that we are restoring to an idea. We are restoring because we want these things here, and not because there is a master blueprint that says they are the right ecosystem for the place. Ecosystems exist because current conditions favor those particular assemblages. Change the conditions, and the ecosystems will, absolutely, change. Both the climate and humans have changed the conditions plenty. Environmental change is the driving force behind shifting species makeup. With plants and most animal species, no evil species showed up and through sheer cussedness, killed off the locals. Instead, the conditions changed. The very concept of wild land, for most Americans, is founded on a misunderstanding: a very brief ecological moment during which a once-managed ecosystem was at the height of its degradation due to loss of its keystone species. The dark and tangled primeval forests, written about by Thoreau and Emerson, are simply the declining remnants of open and spacious Eastern food forests, turned to thicket after a century or two of neglect once their human tenders were killed. 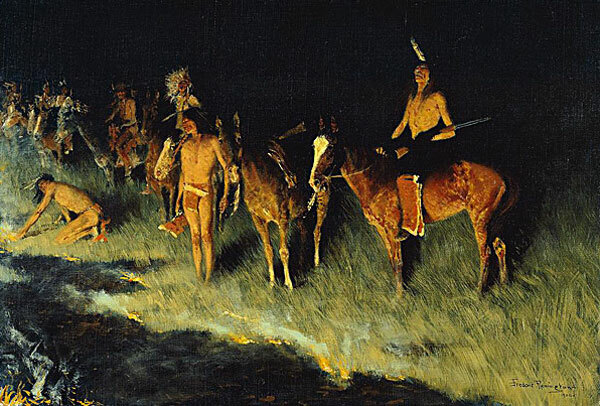 But this idea of wilderness is deep in our mythology, national imagery, and consciousness. Let’s look at some of the causes of species change. First: terminology. The word “invasive” is loaded. We hate invaders. The term also places focus solely on the incoming species, yet the ability of a species to survive is due to interactions with the biological and physical environment. So I prefer a more neutral, and I think, ecological more correct and descriptive term, such as opportunistic. Kudzu is not a problem in its native habitat, but it will take advantage of opportunities. What creates those opportunities for species shifts? Intact ecosystems are notoriously hard to invade. We know this because, for example, seed dispersal rates are truly astounding. Birds are a major dispersal agent. They can carry seeds from multiple plant species in their gut, stuck to their feathers, and in mud on their feet. So picture billions and billions of birds, for 60 million years or so, traveling tens to thousands of miles, seeds dropping off of them every wing-beat of the way. Add to that bats, which are actually more effective at seed dispersal, per bat, than birds. Plus land-animal dispersals, not as far-ranging as birds but bringing much larger seed loads via droppings and fur. Include water-rafted trees and other plants, wind-dispersed species, and more. This gives a picture of the whole planet crisscrossed with billions of birds and animals for millions of years, seeds and spores going everywhere, eggs being carried to new environments, dispersal, dispersal, dispersal! So why isn’t the whole planet a weedy thicket? Because the mere arrival of a new species, even in large numbers, is not what causes a successful colonization. Ecosystems are very hard to invade, and several conditions must be present for that to happen. A major reason for ecosystems being tough to invade is that nearly all the resources in undisturbed ecosystems are being exploited. Nearly every niche is filled, every nutrient flow is being consumed, almost every opportunity is taken. Two major changes make ecosystems invasible: disturbance, and the appearance of new resources. Take disturbance. Perennially disturbed places, like riparian zones, are sensitive to opportunistic species. So is farmland, or developed areas, or anywhere that humans or nature cause disturbance. It drives me nuts when I read that “species X” has destroyed 50,000 acres of habitat. When you do a little digging you find that, no, that area was farmed, or new roads cut, or logged, or polluted, or otherwise disturbed, and then the new species moved in. 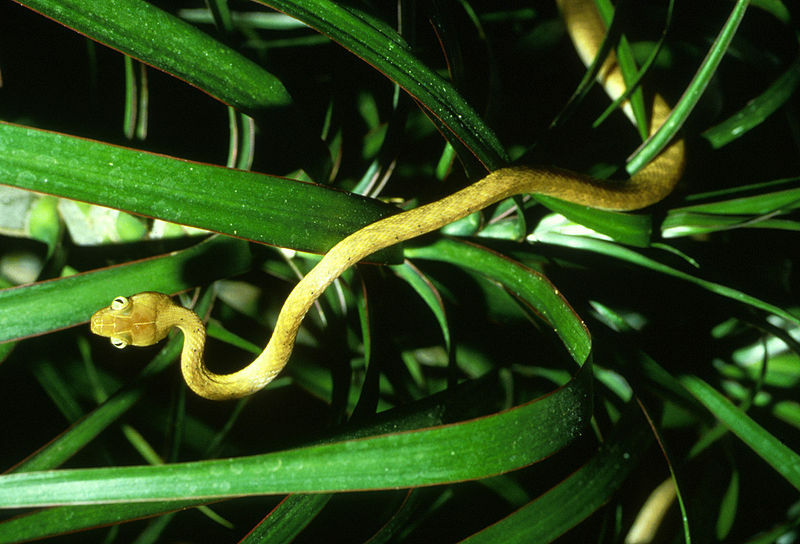 For example, one poster child of invasion biologists is the brown tree snake, blamed for invading Guam and killing off several species of birds. The untold story is that for decades the US Navy used over half of the island as a bombing range, leaving most of it unfit for life. Much of what remained was crowded by displaced people, and developed by the military, and thus turned into poor and disturbed habitat. The tree snake just cleaned up the struggling remnants that were vulnerable in their poor habitat and already in serious decline. Stop the disturbance, and you’ll almost always eliminate or reduce the effect of the new species. Land I lived on was clear-cut in the early 1970s and not replanted with fir until the 1980s, and was covered with patches of Himalayan blackberry and Scotch broom when I arrived in the early 1990s. By the late 1990s, both species were gone from most places and nearly dead everywhere else, because the trees had grown back and shaded them out. The problem is disturbance, not that a species pushes out others because it’s tough or mean. The second cause of successful invasion is the appearance of new resources. Often the new resources that allow an otherwise intact ecosystem to be colonized are pollution and fertilizer runoff. For example, a number of aquatic opportunists, such as purple loosestrife, thrive in more polluted and higher-nutrient environments than the plants they replace. Many species that evolved in clean water are harmed by pollutants and they then decline. Loosestrife, though, has high rates of nutrient uptake, and this trait allows it to out-compete many other species in polluted water. But in permaculture, we say that every problem carries within it the seeds of its own solution. 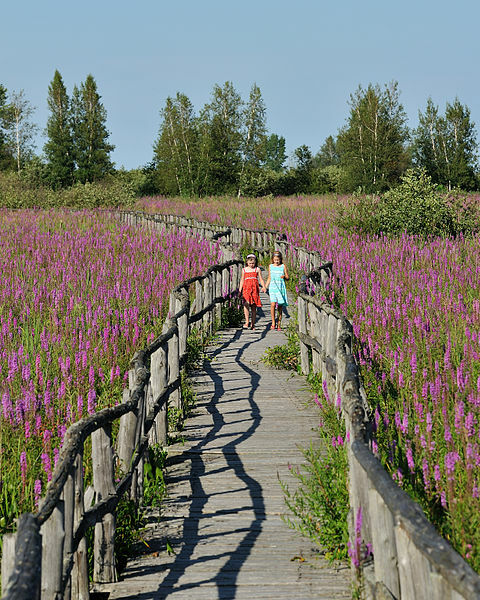 And so loosestrife can be used in constructed wetlands and in natural environments to clean nutrient-rich water. They are an indicator of a problem, a response to it, and nature’s way of solving a problem, not the problem itself. If you really hate loosestrife and want it to go away, clean up the water. Without doing that, you’ll be flailing away at the problem forever. Spraying and yanking is not an effective strategy to remove unwanted species. Nature is far more patient and persistent, and has a bigger budget, than we do. To remove an unwanted species, change the conditions that made it more favored than the desired vegetation. Unwanted species generally arrive because humans have changed the environment to make conditions more favorable for the new species. And when we “restore” landscapes, or more often, introduce a set of species that we have decided are the ones we want to see there, we are altering the landscape to suit our idea of what should be there, not to match some divine plan. These two understandings burden us with a huge responsibility to make intelligent choices, but more importantly, to recognize that we are often arbitrarily making a choice based on our own preferences, not because there is only one right choice for a landscape, When we put resources into landscape management, however, we direct the shape of that landscape toward only one choice. That’s the best we can do. Thus I’d like to see us be less dogmatic in the way we cling to those choices. Unfortunately, dogma is present on all sides. Friends of mine approached the Portland city government with a plan to create some edible plant corridors along Springwater Trail, a 40-mile bicycle and pedestrian loop around the city. Their idea was for bikers and pedestrians to be able to snack on berries and fruit. The city official in charge said, “Nope, we have a natives-only policy on the trail.” The trail is a paved pathway that goes through industrial areas and along backyards, road right-of-ways, and scrubby vacant lots. It probably goes through a dozen or more different environments, based on soil, water, sunlight, and all the other factors that determine what plant communities will grow there. But the policy is natives only. Wouldn’t it make sense for the primary species that will be using that trail to have a habitat that suits that species’ needs for food and comfort, particularly since it’s in a busy urban area? But instead the landscaping is to be driven by an idea, by dogma. I totally support the idea of having natives-only areas on the trail. But let’s allow the new landscaping to serve those that it’s being built for, too. I began this with corn and soybeans. One of my favorite snarky questions for natives-only people is: “What did you eat for breakfast?” I ask that because it is our choices that determine how much of our landscape is going to be consumed by non-native species. I didn’t eat camas cakes with pink-flowering currant syrup this morning, and I’ll bet you didn’t eat any local plants either. Of course, I’d rather see someone growing indigenous species in their yard rather than having a sterile, resource gobbling lawn. But my urban yard is not, in my or several other lifetimes, going to be part of a natural ecosystem. I might be able to cultivate some endangered native species in an attempt to pull a rare plant back from extinction. That’s one good reason I can see for growing indigenous plants in my yard. But the most frequent native plants I see grown in yards are salal, Oregon grape, and others that are in no danger of extinction and don’t, to my knowledge, support specialist species dependent only upon them. And since much of my yard is watered, it is inappropriate for me to grow natives that are adapted to our dry summers. It’s always struck me as bizarre to see Northwest natives being irrigated. But even more than indigenous plants, I’d rather see someone providing for some of their own needs from their yard. When we eat a bowl of cornflakes for breakfast, or oatmeal, or store-bought eggs, we are commissioning with our dollars the conversion of wild land into monoculture farms. I’ll bet that a large percentage of people reading this buy local food, shop organic, and so forth. But the farms growing that food are almost all moncultures, and out of the urban matrix. In other words, it is farmland that, if consumption decreased, has a far better chance of being restored to a functioning ecosystem than does a home lot. If I grow some of my own food, that means that somewhere out in the country, a farmer won’t have to plow so close to the riverbank, or could let some of that back field go wild. That land has a far better chance of functioning as an ecosystem than my yard will. Oh, I have visions of how city and suburban landscapes could be functional ecosystems, but that’s another subject. My point is, we need to be putting money and energy into growing indigenous species where they will do the most good, where they can truly contribute to ecosystems and their functions. Many of our efforts in eliminating exotics are a terrible waste of resources at best, and at worst are repeated use of poisons to destroy a hybrid habitat whose function we don’t yet grasp. Let’s be honest at what we are restoring to: an idea of what belongs in a place. If we want to get rid of an invasive exotic, let’s get rid of some monocultured corn, and let a bit of farmland return to being a real ecosystem. This is a superb article, and a great analysis of “restoration.” Thanks for posting it. I agree, a great article. I share many of the thoughts, especially, “But my urban yard is not, in my or several other lifetimes, going to be part of a natural ecosystem.” I also believe those touting “naive only” look at what they purchase. Reminds me of Matt Chew’s (to paraphrase): To call a plant “native” just means you don’t know when it arrived. Beautiful. I removed the word native from my catalog and descriptions of plants, because of organizations like the Nature Conservancy who are the enforcement arm of the natives only philosophy and what that meant in terms of ‘restoration’. I am presently confused about the Nature Conservancy. In the past few years, the Conservancy’s Chief Scientist, Peter Kareiva has been increasingly vocal about the need to change our conservation strategies to show more respect for the reality of the changed environment. Here’s one of our posts about Kareiva’s perspective: https://milliontrees.me/2011/06/29/cultural-lag-public-policy-lags-behind-science-regarding-invasion-biology/. When Kareiva spoke to the Long Now Foundation in San Francisco in June 2011, he acknowledged that our ecosystems are more biodiverse now than they were prior to the arrival of Europeans and he gave many examples of how resilient nature is compared to the gloomy predictions of mainstream environmental organizations. On the other hand, he admitted–when asked–that the Conservancy uses pesticides in their restorations. And reading the Conservancy magazine, we don’t see any change in the Conservancy’s “restoration” strategies, which still appear to be devoted to eradicating non-native species based on the assumption that natives are superior and will benefit from the absence of non-native species. See “Death of a Million Trees” on Facebook. Although this is an interesting perspective, it is only the writer’s perspective and is not all based in fact. Previous understanding of the role of disturbance in invasions has long been abandoned. Much study has focused on that dynamic and undisturbed ecosystems are not always resilient to invasion. It depends on the habitat, the invader as well as other factors. As to removal of the disturbance and Mother Nature will fix it? Not likely. A disturbance at one point in time results in the transformation of plant communities (and this applies to other invasive life forms as well–mammals, introduced fishes, insects, etc.). We end up with vast acreages of reed canary grass, Canada thistles, blackberries, etc. It sounds like the writer suggests that maintaining the plant communities in the Willamette prairie just so much extraneous investment at this point. Does he think that the answer is for prairie remnant communities be passively managed to permit eventual succession to lowland forest? If so, consider is the fate of the vast array of species that occupy the prairie? Shall we just kiss them goodbye? This is a guest post by Toby Hemenway, so we can’t answer your question. You can contact him through his website Pattern Literacy, if you would like to ask him. However, we will give you our opinion of your comment for the sake of argument. We actually agree with the observations in your first two paragraphs. We don’t see how your final paragraph follows from them. If once disturbed, a landscape cannot be returned to its previous state, how does it follow that it is possible to prevent natural succession from grassland to shrubs and subsequently to forest? Natural succession cannot be prevented without using unnatural means such as prescribed burns, herbicides, tree destruction, etc. Unfortunately, these methods are being used all over the country in a vain attempt to freeze-frame a landscape that is trying to move on. These methods are damaging the environment for no legitimate reason other than to satisfy the demands of native plant advocates to maintain a landscape at some arbitrary point in time. Prescribed burns pollute the air, kill wildlife, and often result in wildfires that damage property. Herbicides kill microbes in the soil, poison the water table, and sicken animals, including humans. Destroying healthy trees which are sequestering tons of carbon, releases carbon dioxide into the atmosphere, contributing to climate change. Climate change will ultimately kill the native plants in their historic ranges which all these destructive methods are attempting to save. Let nature move on, that is the main message of Million Trees. Human attempts to micromanage nature are doing more harm than good. Thank you for your visit. Yes, you are correct, to prevent succession, the habitat must be managed actively. The price we pay by not doing so, however, is huge. My point was that without any further management, the fate of the WV prairies is conversion to shrubland and ultimately forest. Under those circumstances there are an astonishing number of species that would be extirpated from OR, many of which are already listed as threatened or endangered. In addition, ecological systems that depend in those species would degrade. Pollinators might be a group we don’t want extirpated at this time, agreed? If we understand your conclusion, you are justifying the methods used to prevent natural succession based on an assumption that pollinators require the plants you believe will be saved by these methods. If so, you are mistaken in that assumption. There is no evidence that native pollinators prefer—let alone require—native plants. You will find many empirical studies on this website that find equal numbers of insects using both native and non-native plants. For example, Professor Arthur Shapiro reports in his study that 29 of 32 native butterflies in Davis, California, use non-native plants. Thirteen of those species have no native hosts in that area. More recently, the British Royal Horticultural Society reported their preliminary findings of a 4-year study comparing insect use of native and non-native insects. They found no difference in insect use of native compared to non-native plants. There are many other studies that report similar findings. Even Doug Tallamy has admitted in a published book that a graduate student working under his direction was unable to find evidence of greater insect use of native compared to non-native plants. The assumptions of native plant advocates are being rapidly overturned by empirical scientific studies. Sheesh. I’m getting a little lost here. My last comment is about the loss of open grassland habitat due to successional change to forest. I’m not sure I understand how your response about native plants versus non-native plants ties into this. Let me try again. If the prairies are not actively managed (with fire, for example), then woody species of shrubs and trees move in. Also impenetrable stands of Scot’s broom and introduced blackberry species. Ultimately, what had been an open grassland habitat is converted to a closed canopy shaded habitat. Under those circumstances, the prairie habitat species will no longer occupy these sites. That includes birds, mammals, insects (including pollinating bees), etc. Willamette Valley prairie remnants are refugia for these species because the remaining open areas are vast fields for production of grass seed. Note that the species you specifically mention that you wish to eradicate–“Scot’s broom and introduced blackberry species”–are non-native. Yes, we do assume you are trying to replicate a native landscape by eradicating a non-native landscape. We do not believe that wildlife will benefit from that attempt because of the harmful methods used to eradicate non-native plants and trees and because wildlife has long ago adapted to the landscape that exists and in most cases has existed for nearly 200 years. In a rapidly changing climate, it is pointless to attempt to prevent plants and animals from changing their ranges. They must do so to survive. We will post a new article tomorrow on this topic. Please visit again to see that new article. Thank you. I’ve made it clear that my concerns are related to consequences of habitat change through succession. This was not a debate about the merits of the particular plant species in the community. Not so clear as you apparently think. If you wish to prevent succession, then it follows that you are attempting to prevent changes in the composition of plant species. Mel spinningbeads wants to manage Willamette Valley prairies to prevent natural succession to forest. That means a never-ending gardening project to maintain an artificial landscape. The plants are gardened plants, the animals zoo animals. I see no reason to prefer this artificial landscape to naturally occurring forest complete with the animals which live there. It’s just a matter of arbitrary taste. But to have what nature provides doesn’t cost us the money, effort, and dangers that go with burning, poisoning, and continuous removal of trees. So my choice is clear: let it be, go with what nature provides.